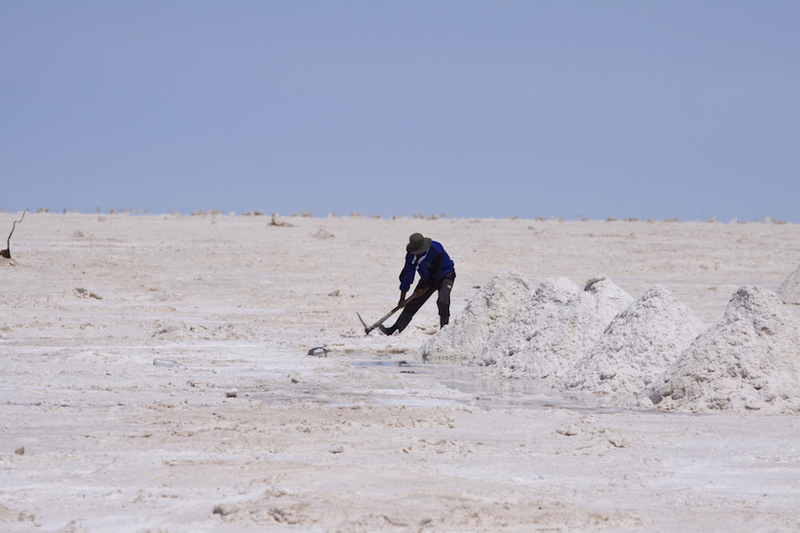 Exploration and development company Bacanora Lithium (LON:BCN) revealed Thursday it is preparing a 2019 stock exchange listing for the subsidiary that holds its 50%-owned Zinnwald lithium deposit in southern Saxony, Germany. The company, best-known for the Sonora lithium project in Mexico, said it had held discussions with its financial advisers about listing Deutsche Lithium and that it expected it to trade on “at least one” public market next year. Bacanora plans to move forward with the plan once the feasibility study at its Zinnwald project is completed, in the second quarter of 2019. The study is evaluating the production of higher value downstream lithium products for the European automotive and battery sectors. Bacanora's flagship asset is the Sonora lithium project in Mexico, for which it has secured $240 million, with a further $220 million needed. Today’s news is just one of Bacanora’s latest milestones in the past two years. 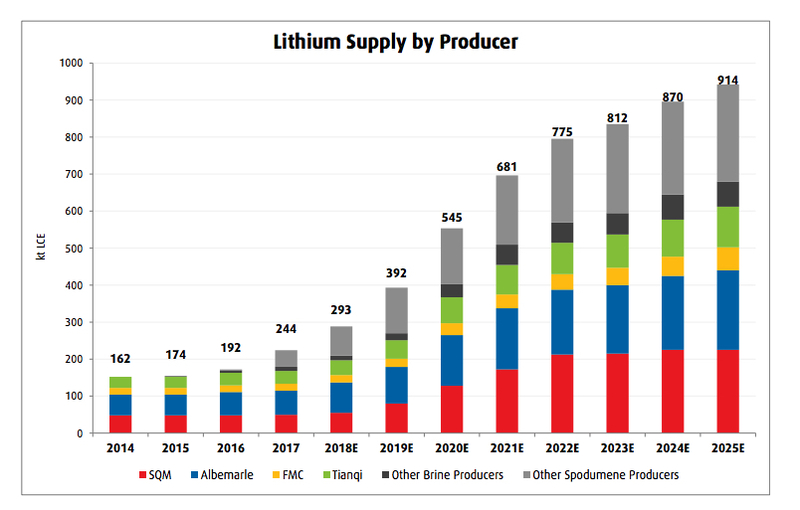 In 2015, the firm and its joint-venture partner Rare Earth Minerals (LON:REM) signed a conditional agreement with Tesla Motors (NASDAQ: TSLA) to supply the electric cars and energy storage products company with lithium hydroxide from the Sonora project. In May 2017, the company secured an $11 million investment from Blackrock. Earlier in the year, it inked a long-term supply deal with Japan’s Hanwa Corporation, which will see the Tokyo-based trader acquire up to 100% of the output coming from Sonora. And in November, it secured access and surface rights for the touted Mexican project. The company, however, is yet to secure financing to begin construction at Sonora, which is expected to produce 35,000 tonnes of the coveted commodity per year. Frequently referred to as 'white petroleum', lithium has become an irreplaceable component of rechargeable batteries used in high tech devices and electric cars. 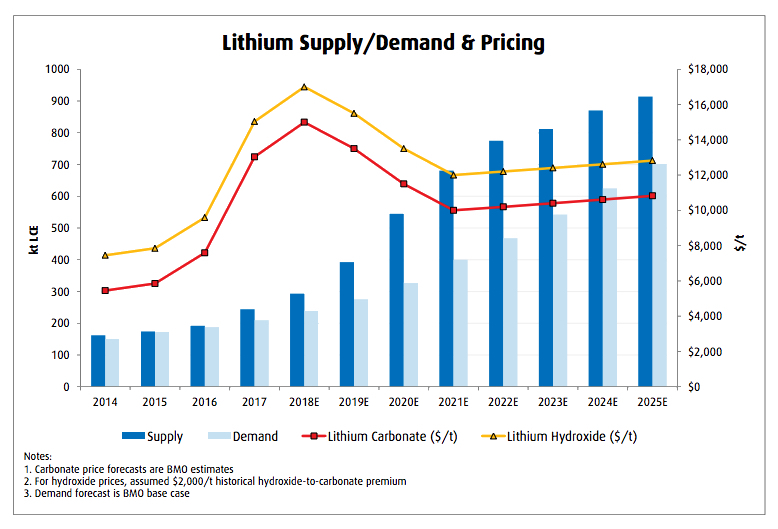 Bacanora expects the lithium market to expand at a faster pace than originally anticipated. The company now sees demand for the metal reaching 450,000 tonnes a year by 2025, up from the current 250,000 tpa. The firm, however, believes those figures are “on the conservative side”. “Currently, for instance, UBS is forecasting demand will hit 900,000 tpa by end of 2025, while Seeking Alpha believes demand could be more like 1.3mtpa by 2025,” chairman Mark Hohnen told shareholders at today’s annual general meeting. The silvery-white metal has attracted increasing interest from investors, not only in Latin America, where the world’s largest deposits are located, but also in other places such as the UK. For that reason, some experts expect prices to drop in the early 2020s as a result of an ever-rising number of projects expected to come online. This, despite increasing demand from EV batteries makers. Such sectors would include new rock-based entrants mining ore in Australia and selling spodumene to Chinese converters, as well as new rock and brine-based suppliers in Brazil, Canada and the US, Moody's reports.